The co-located event Solids and M+R 2015 attracted 2,540 unique visitors, an augmentation of 12% compared to the previous edition. The next edition will take place 19-20 October 2016 in Antwerp Expo. Interested in participating the next edition? Each year millions of tonnes of solids are processed, stored and transported within the Benelux. This represents a tremendous challenge for the bulk solids processing industry that often tests the limits of the technical possibilities of the process systems. In addition, the diversity in properties of the numerous material flows may not only cause excessive wear but also stagnation in the production process. 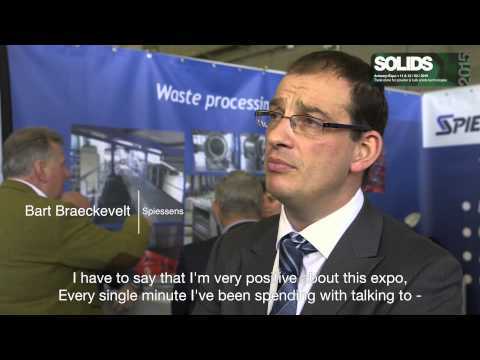 84% of the SOLIDS 2013 visitors would recommend their colleagues to visit the Solids show!